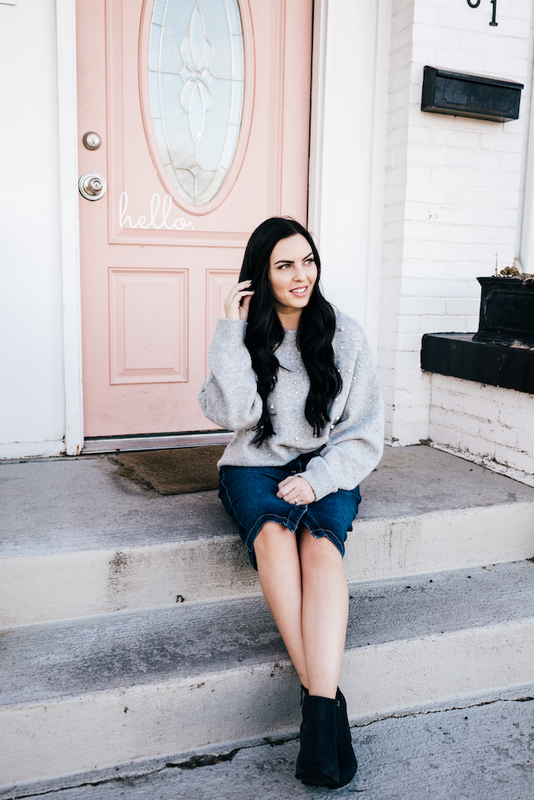 I'm so excited to be teaming up with a few of my favorite fashion bloggers to show you how we do Valentine's Day style! Each blog & Instagram account is linked up below, so be sure to check out everyone's post for outfit details and follow along on Instagram for more fashion inspiration! I decided to forego the pink/red in my outfit for the Valentine's look, and instead go for some neutrals I could dress up or down with a fun embellishment! 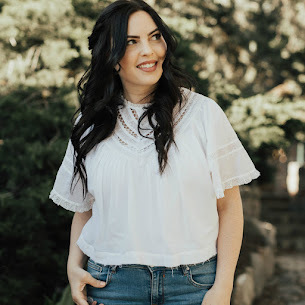 I'm excited to wear this cute look for a Galentine's GNO or for a date out with my hubby! I'm all about the cozy casual but put together look. And I asked recently what price point you're most interested in seeing on here, and a lot of you said you wanted more budget fashion! And I'm here for it. H&M, Old Navy, and Forever 21 are a few of my favorite budget places to shop and happen to be where my outfit is from! 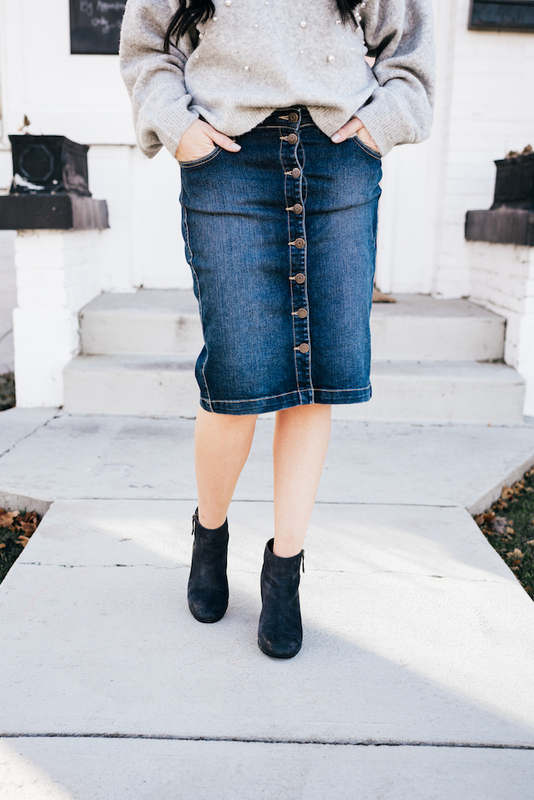 Forever 21 can be really hit or miss for me, but I scored this skirt for $10 at one of their discount stores! I couldn't find this skirt online (I bought it over a year ago) but it's stretchy and a great fit, so if you ever spot one, snag it! Now THIS SWEATER. I loooove the pearl embellishment, and it's oversized and so cozy. My biggest tip for rocking an oversized sweater is to pair it with something more form fitting on the bottom, so it doesn't end up swallowing you with it's size and make you look larger than you are! If you're interested in seeing more of how the cute bloggers in this post and I wear our Valentine's looks, check out the hashtag #BloggersDoVDay on Instagram!